The camera’s vaunted power to capture reality is chopped, woven, and reconstituted to reveal deeper truths. Published on Monday, January 29, 2018. This article appears in the December/January 2018 issue of American Craft Magazine. After a long and successful career in photography, Philadelphia-area artist Peter Olson turned his eye, and hand, to clay. He merges the two in his Photo Ceramic works, such as this urn. He ups the ante on its elaborate form with ink transfers of his candid street photos, giving a startling human face to pattern and decoration. 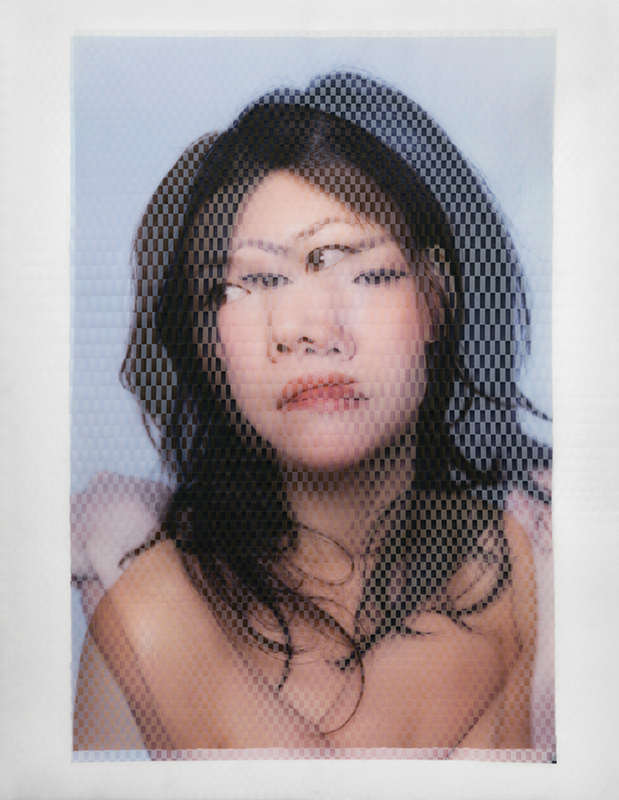 The effect in David Samuel Stern’s Woven Portraits series may seem like double vision. 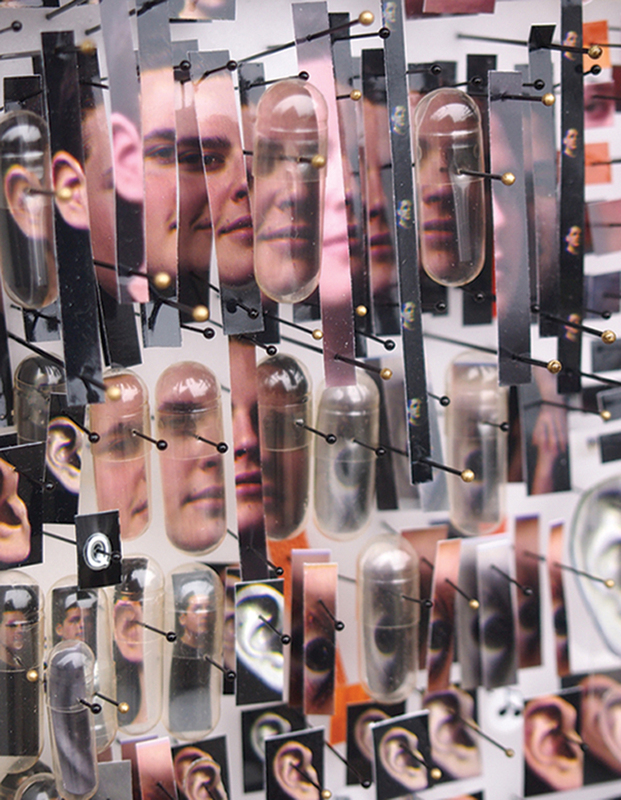 In a sense it is – the Brooklyn artist starts by taking two photos of the same person. But the method is more subtle than simply layering a couple of disparate images. Instead, he cuts up each one, then weaves the pieces for an almost cubist version with shifting perspectives – double vision squared, if you will. 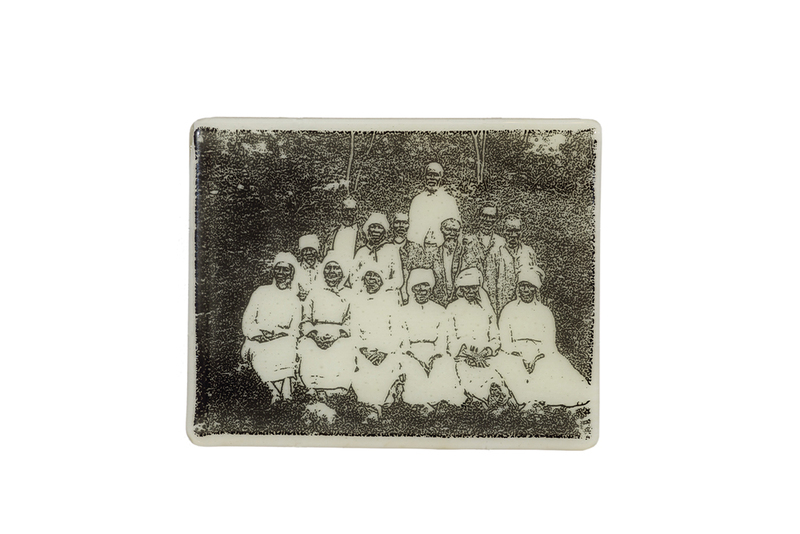 The innately ghostly nature of photography gets an extra ectoplasmic push in Cheryl Patrice Derricotte’s Ex-Slaves (Jamaica), a historical photo imprinted in enamel on kiln-formed glass instead of materializing from a chemical bath on paper. The Bay Area artist knows the process blurs sharp edges; at the same time, it throws the essence of the image into starker relief. 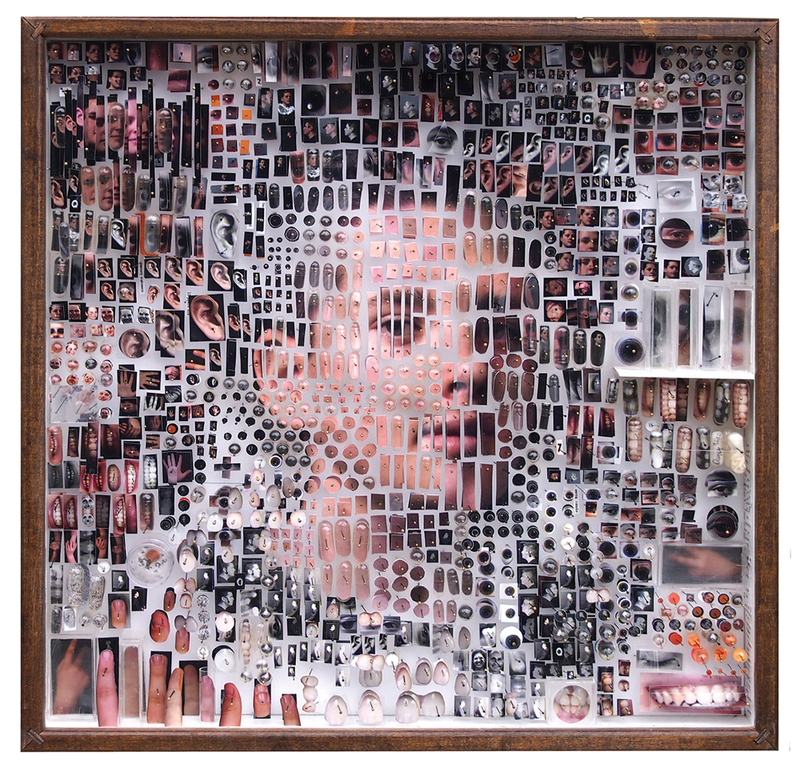 Jane Waggoner Deschner uses found photos as her primary material – literally, in the case of Family Suit. Prompted by the unbounded attention to Hillary Clinton’s pantsuits, the Montana artist decided to stitch one of her own out of snapshots. Ultimately, it became this prim dress suit, partly, she says, because the women in these vintage photos would never have dreamed of wearing pants in public.